/ Kiddos / Baby / Make Your Own Cloth Diapers! 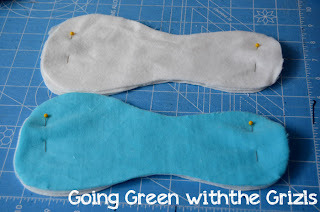 Make Your Own Cloth Diapers! I remember when I first told family members that we were going to cloth diaper. Most people thought I was nuts for wanting to take them on, but then again most people I know in real life like convenience, so cloth was never something they had even given thought to. Some of the older members were on board for the simple fact that they had cloth diapered and knew how much of a money saver they could be. They filled me with stories of hand washing, poking babies with pins and scrubbing for stains. I tried to explain to them that cloth diapering had come a long way, but until I was able to actually show them Natalia’s diapers, most people couldn’t even visualize a modern cloth diaper. My first batch of homemade diapers were using the Babyville Pattern. Although we still have some in rotation, I wasn’t 100% happy with them after learning more about the fabric choices that are out there for diapers and what works best for our toddler. First, those called for a flannel inner and considering that they were pocket style, the flannel became pilly after washing and isn’t as soft as I’d like it to be right up against baby’s skin. I’ve also moved away from PUL since I look for something with a little more breathability to keep rashes at bay. I’ve made other diapers since then and learned along the way what I did and didn’t like. As easy as cloth diapering is, it’s even easier to custom make your own stash and fill it with prints and fabrics that you not only love, but that will work well for your baby. I decided to show the world just how easy it can be to make your own custom stash. After all, I’m in the middle of making an entire newborn stash for the little addition and trying to supplement and change out some of the diapers in Natalia’s stash as well. I use the same fabric combinations and same methods, but I do use different patterns. This tutorial will be specifically for newborn sized diapers, but like I said, the steps for actually creating it, are exactly the same that I use for the larger diapers. *EDIT: — You can see how my newborn size ended up fitting in these photos. Outer print fabric- I use both wovens and knits. *Serger is used for insert edges but you can definitely use a basic sewing machine with a wise zig zag stitch set to a short length. Cut out 1 diaper from outer, fleece, and inner fabrics. Mark for elastic stitching points and snap placement. I do this on the fleece layer, since I usually use white and it won’t be seen at the end. Layer outer print fabric right side up on top of fleece. Use snap pliers to apply snaps in marked positions across waist. Do not add the top center snap piece (where the cord snap-down area is). This pattern has a single row of 8 total snaps across the front with the additional snap in the bottom center for the umbilical cord snap down. Lay your inner fabric right side up and match with right side of your outer fabric. You’ll now see the fleece on the top layer with the back sides of the snaps and our markings. Sew 1/2″ seam allowance and leave an opening of about 4″ at the tummy panel. I just want to start by saying there are different ways to do the elastic, but this is the method that works best for me and I think it’s pretty quick as well. Tack one end of you elastic at the marked point. I ALWAYS tack mine down in the seam allowance. When I turn and top stitch later it makes for a cleaner finish and it’s easier for me to handle. *I’m doing a leg elastic in these photos. Hold down the tacked end and stretch elastic to other marked point for that elastic. I then hold down the un-tacked down end and let the elastic relax. Carefully stitch in place and be sure to go over the elastic multiple times so that it will stay put. Once both ends are stitched down, clip the elastic and continue with the other leg and back elastic. Once all your elastics are finished, your diaper will look like this. I also trim around the edges and leave the seam allowance area where my elastic is stitched down. Using the opening we left in the tummy panel, turn the diaper right side out. Push out all the edges and kinda roll the seam in your fingers to get them to lay a little smoother. Starting at the tummy panel (leaving the opening last to sew shut) top stitch around the edge of the diaper. When you get to where one of the elastics starts, stop your machine with needle in the down position. 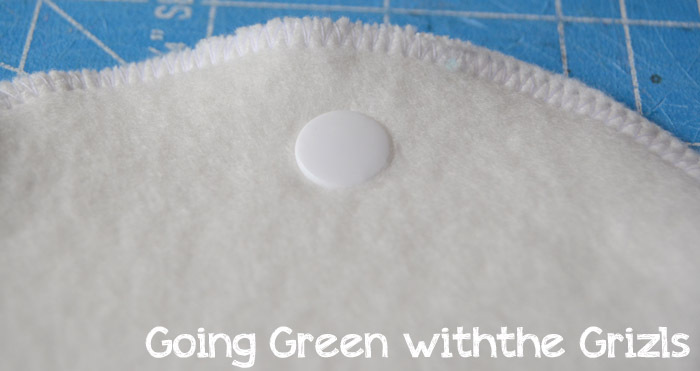 Turn so that you sew about 1/2″ into the diaper body and again, with needle down, turn diaper as seen below. This will create a casing for the elastic. Be sure to pull the elastic tight so that you don’t catch it while top stitching. Repeat with back and other leg elastic. Finish by folding in tummy panel opening and top stitching shut. Your stitching should look like this around the elastics once you’re finished. Add your wing snaps and your top umbilical snap. Assemble your layers. My top one has 3 layers bamboo fleece. the one below that has 2 layers bamboo fleece and a top layer of soft cotton velour. Using either a serger, or a wide zig zag stitch, sew all the way around each petal. Add a snap to your bottom petal insert. This will snap it directly into the diaper and keep it from moving around while on baby. Layer other petal directly on top and stitch around the top curve to secure the two together. Now there’s a ton of absorbency but it won’t take forever to dry in the laundry. Add a snap socket to the back of the diaper. I center it and place about an 1 1/2″ below the back elastic. Snap in your insert and voila! 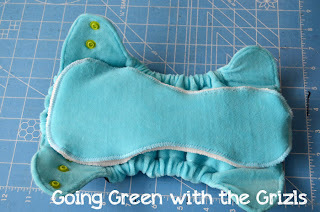 I’d love to see your finished creations after you make your own cloth diapers using my tutorial! What a great tutorial. Pinned it. I wish I could sew! This is so cool and they’re really cute! Amazing tutorial! I bookmarked it! Thank you! Great tutorial Kassie! Love the pictures. i love it kass.. great job i read through it thoroughly and love love love!! good job. Holy cow! This is the best tutorial I’ve seen for DIY cloth diapers. Great job. Totally pinning this. omg tysm I think I can do this now!! thanks again! do you need a cover? how “leak-proof” are these? Because the pattern calls for an outer layer of fleece, it will be pretty leakproof. Fleece is waterproof when it isn’t directly against the skin. : HTH! I do put a cover on them if we are going to be leaving the house. The one thing about fleece and fitteds is that there can be compression leaks once you put your kiddo in clothes and they are crammed into a car seat. For everyday wear around the house, I don’t use covers. They last about 4 hours + on my 2 1/2 year old without becoming damp. Wow, cool! I’ve wondered about makinh my own but wasn’t sure what fabrics to use or where to find them. Have you priced out what it costs to make your own, compared to buying diapers? I haven’t entirely priced things out but I can say they cost me less than $10. Hi! I’m new to your site, but was wondering if you have posted the OS pattern! I am a beginner sewer and would love to make my own CD instead of purchasing more for our stash! Thank you. Kristinabrochu@gmail.com would you be able to email it to me? About how many inserts per yard of fabric are there? I am going to be buying organic bamboo fleece, and wanted to know how many yards i should get if i want to make 24 inserts. Would it be cheaper to just buy inserts of the org bamb fleece online? If i did that, would they fit into the diaper? So cute! Would you mind sharing what pattern you used for the larger diaper? Is it the Rocket Bottoms OS fitted – or a different one? Thanks so much! The larger pattern is one I made myself. Our scanner broke a few months ago and I’m still figuring out how to get a digital pattern on here for you guys. It has been a long time coming but I’m super excited to announce that my OS cloth diaper pattern is now available in my Etsy shop. There was a *lot* of interest in getting this available for you guys and now that it is, I thought I’d send this little note to you and let you know since you had commented on my original tutorial post to notify you when I had it ready. Find the pattern here: https://www.etsy.com/listing/208486933/hybrid-fitted-one-size-cloth-diaper? Love this tutorial! Thank you! Curious if the diapers end up being bulky on baby? Can you give me specific outer layer fabric ideas? I am new to this and am clueless. You can use cotton wovens which is the majority of fabrics at a place like JoAnns. I especially like to use a knit fabric because it provides a little bit of extra stretch and helps to get a good fit if your kiddo is in between the snap settings. Hi I’m new to parenting and to cloth diapers. I love this blog and am very excited to start making these! How long/or to what weight do you think these size diapers will last? I just found out I’m having triplets and want to have all sizes made and ready to go when they get here. Do you have a pattern for the next size up? Thanks so much for any help you can offer!! The newborn pattern in the post by Rockets Bottoms lasted my little girl until she was about 2 1/2 months. She just officially outgrew them about 2 weeks ago. Because you’re having triplets I would assume they will be smaller than my little girl was at birth (6lb 10 oz, 18 1/2 in) so they will likely last another month of two for you. I made three of these with an extra snap in soaker since we will be using them overnight, and I love them! They are so cute! I know you said you drafted your own one size pattern, but it’s not up yet…have you tried the rocket bottoms one size pattern? They have a petite and a regular, not very sure how they differ…and My baby isn’t here yet so I don’t know how chunky she’ll be 😉 Or better yet, do you have a free pattern you’d recommend? I’ve used a few different online free patterns and I think one of them I liked most was the Sprout Snap. I will say, however, that the wings need to be longer, especially for chunkier babies. They seem like they should be a tad longer even on my skinny girls. Love it!!!! I just made a tiny diaper to test on my brothers newborn to see the fit. I have a 10 month old and can’t wait till you upload your one size pattern! I am in so need of a pattern like this my so has out grown all the throway diapers. I’m having the exact same problem. Did you find a solution that worked? I’m new to sewing cloth diapers. What type of material do you use on the outside? You mention knit or woven is that cotton? Thanks for the tutorial. I was thinking of using cloth diapers but if I can make them all the better. Thanks again! I had a question about the wing snaps: on the original pattern it looks like there are meant to be 3 snaps on each wing; two studs with a socket in the middle. how did you adapt the placement of your snaps to just be two studs? I bought the Babyville pattern and was quite frustrated with the directions. After taking it apart three times and still not getting it right, I searched Pinterest for something easier. I saw your diaper and thought I would give it a try. Less than two hours start to finish and I was done! Your method for adding elastic is so easy. I still use the Babyville pattern for sizing and elastic and snap location, but I follow your directions. Hello. I just found your blog via pinterest and wanted to say thank you for taking the time to make this tutorial. Babyville patterns were actually designed by the same person who designs the Rocketbottom patterns. I have used her patterns, as well as the baabaababy (BBB) patterns as well. I have found that I prefer the BBB free fitted newborn pattern because it doesn’t use as much fabric so I am able to get more diapers out of it. What I like about both designers is the BOTH allow WAHM to sell products made from both their free and paid patterns, which is a huge help to me! (smile). Thanks again for the great tutorial! I don’t think it was the pattern that was off putting to me so much as it was that I followed the instructions for the flannel lined pocket diapers. The flannel was not good for my toddler’s skin and that is more a matter of me not doing more research beforehand. I actually really like Krista’s twist pattern and I have a couple diapers from the Totally Squared pattern too. Plus, she’s just pleasant. 😉 In the end, I made up my own pattern after a year and a half of diapering that was more specific to our needs. Have you used the Babyville pattern to make covers? I haven’t done FOE before so I’ve been procrastinating. This is amazing! Thank you! What would you estimate the cost is for each diaper? Using a nice knit, fleece, cotton velour inner, and organic bamboo fleece for the soaker, I estimate about $8 on the high end. That would cover everything from thread to snaps and elastic too. Where do you get your fabric from? I was just wondering if you had a pattern for bigger sizes as well. I have a one year old I want to make diapers for and make some for my expecting as well. And I’m not sure how to go about getting bigger patterns and I don’t want one size fits all patterns. I love your patterns and tutorials diapers have turned out awesome!!! I was also wondering about how well they hold upand if you have a problem with leaking. I know there not water proof but how long do they usually go without leaking threw. I am just starting to make a diaper stash for my baby due in May and loved your site! I was wondering if you don’t use pul fabric how do you avoid leakage? Thanks! I really, really want to try this out. Thank you for this tutorial. It’s written well and has great pictures to make understanding it easy. Please, please, please find someone with a scanner to put up your O/S pattern too. I would love to have some on-hand for when my baby outgrows these ones. Thanks so much for taking the time to share! Do you know the weight limits? I’m due in May and my babies are on the bigger side (last baby was 9 lbs 3 oz!). I think I may need the next size up for my little one. Any recommendations? Thanks! Im soooooo excited we planning number 2 and im going all out DIY, these are so much prettier than the cloth diaper my mom used and so easy to make really going to try this! Iv’e been cd’ing for over 3 years now– and with the addition of my third in cloth (at the same time) I’m just now starting to feel the need to make them myself. Its sort of like a primal feeling.. Wearing babe in a long piece of woven cloth, co-sleeping, making milk– making my own nappies seems to be the next progression. This said. I don’t sew. Like, no sewing machine, haven’t hemmed a pair of pants can’t sew. But I understand your tutorial enough that, I’m actually going to try.. and however many times I need to, to get it right too! I’m hoping that your still following this, I noticed that you haven’t responded since before the new year, but I too would like to use your OS pattern– In fact, its pretty much the only pattern I want to use lol. Iv’e liked your facebook page, and started following you in hopes that one day sometime soon I can try making my first diaper, and I’m EXCITED! I love your tutorial! I have a 6 month old and cant wait to try it when you get your OS Pattern up! I also like that they are a pretty waterproof while being breathable since my LO has sensitive skin. I am also wondering where you get the fabric from. Especially the bamboo fleece. I am having a hard time finding it. I love this tutorial! I was wondering where you find all of your fun prints for your diapers I have been looking all over the internet and can not seem to find fun ones like I would like. 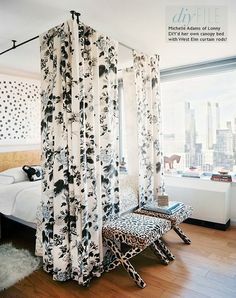 Love love love this pattern. I would love if you could email me a OS pattern please. My LO is a little over a year already. And would need a OS. Thank you. This is hands down the best tutorial I’ve read. Thank you for making it so easy to understand. I’ve been trying in vain to make my own cloth diapers out of PUL and I am just not impressed. OK, update! I have made a bunch of these now. They are adorable; thanks for taking the time to post this great tutorial, I’ve linked you in my post here: http://www.commatose.ca/2014/03/diy-make-a-cloth-diaper.html . One problem: I’m terrified they won’t last very long on my boy however because I got measured today and my doctor said he’s about 8 lbs, and still has 2 weeks to go before he’ll probably arrive. How big was your girl when she grew out of the newborn size, do you remember? Thank you! I’m trying to learn to sew, I already cloth diaper but would love to make more thank you so much for this! You should make a video too! Thanks a ton!! For my larger diapers I used my own pattern which I haven’t made available to anyone yet. Is there a different material i could use instead of the cotton velour for the inner that will be just as effective? And what about the soaker petals, is there anything else i can buy in store to make those to be as effective as bamboo fleece? In store, I’m not 100% sure. We don’t have the greatest local selection and I buy most of my fabrics online. You can find Diaper Fabric Co-Op groups on FB that offer the bamboo fleece for around $8/yard. It’s a steal really. You can use other materials like flannel or birdseye cotton but they’re going to need many more layers to be as absorbent and will end up being a lot bulkier. Plus, they’re not as nice against baby’s skin, in my opinion. I read through all your comments so hopefully I’m not repeating a question here…where do you find your cute cotton knits? Like the super woman one your baby is wearing in the pic? You said you like cotton knit, right? Does that mean 95% cotton/5% Lycra/spandex? Thanks so much! I love your pattern! We actually don’t have anything in the way of knits in our local stores. Most of the newborn diapers I made are fitteds and I ended up using wovens for most of them. The superheroine fabric is a woven that I purchased from Hancock Fabrics. If I end up ordering online, it’s usually through a co-op group on FB that focuses solely on knits. I know a lot of wahm diaper brands buy from the fabric shops on BigCartel. We actually don’t have anything in the way of knits in our local stores. Most of the newborn diapers I made are fitteds and I ended up using wovens for most of them. The superheroine fabric is a woven that I purchased from Hancock Fabrics. If I end up ordering online, it’s usually through a co-op froup on FB that focuses solely on knits. I know a lot of wahm diaper brands buy from the fabric shops on BigCartel. I love these! I wanted to make some covers too and I was wondering if you use the same pattern or if it needs to be a bit bigger to fit over the diaper? I was going to use a layer of PUL and a layer of something softer, maybe the cotton velour? Do you put the PUL on the inside or outside? I’ve seen it both ways and I’m wondering what’s best for preventing rashes. Thanks a ton. I love the superhero prints! How many yards of fabric should I purchase to make one size diaper? I loved your tutorial! I’ve made many diaper covers, but never an insert. When you made your inserts, it looks like you used a zig-zag stitch. I don’t have a serger, so I’m just curious how you made it look so awesome? Did you have to adjust the tension, and sew up and over the ends of each fabric, so they don’t fray? Thanks! Hi – making some of these for my little girl. I’m a decently experience CD sewer, but I was wondering how long each piece of elastic you used was for the nb size? I want to make sure that they’ll be small enough for teeny newborn legs, but grow with her until they just won’t fit anymore. Thanks! Did you find a length of elastic that works for you? I fussed around with mine a lot today and still am not satisfied with the outcome in terms of being stretchy but snug enough. Hello!! 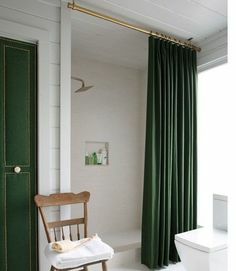 I’m considering switching to cloth, and I’ve been researching for months and your tutorial is the best I’ve found yet! So THANKS! I just have a few questions. Is the CV layer for absorbancy at all, or just softness? I’m trying to figure out if I can make a diaper with just what I have in my stash! I have fleece and knit for the outer, could I use just those with an insert? Also, could I use cotton terry for the inserts? 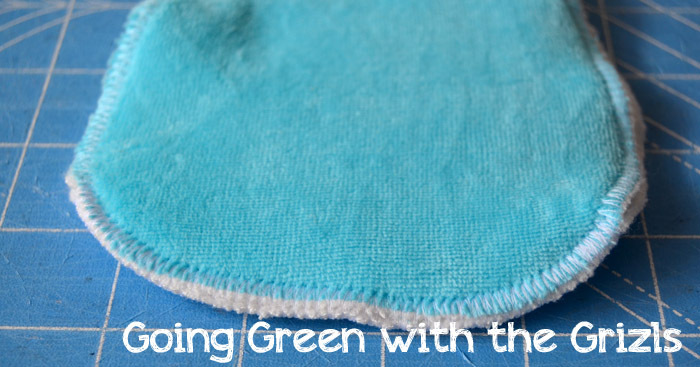 Like hand towels or washcloths along with fleece as a wicking material? Thanks! Oh, and I also have minky, could I use that in place of the CV or in place of the fleece? Thanks again! I wouldn’t use terry for the inserts only because you end up needing a *lot* of layers (8-10) and they end up bulky on baby. That’s really more of a personal preference though. & you can totally use the minky as the inner fabric!! So I would use my knit outer, then fleece, then the minky? Is that right? Maybe I’ll order some bamboo fleece for the inserts! Thanks for the quick reply! I’ve been researching and talking myself out of doing this for months (bub is 6 months old now! ), and I think your great tutorial has talked me into actually doing it!! 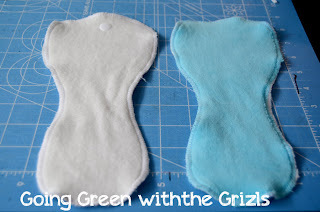 Hello I’m new to cloth diapering and wanted to make my own diapers. After seeing how you explained things so well I’m going to give it a try. (: I don’t have a newborn anymore, so I will try to make my own pattern and had a couple questions regarding the fabric. About how many diapers do you get from one yard of fabric, not the newborn size but something bigger? And also, how many petals do you get with one yard of fabric in the bigger size? Thanks in advance!!! This is an excellent tutorial. Thank you so much! Two questions: I had the hardest time with the elastic, both in determining the length I should use, and in sewing around it without actually sewing into it (making it not work). It didn’t want to stay in the seam allowance while I did the 1/2 inch cut in while t&t’ing. Tips there? Also wondering of the larger sized patterns are available yet? Do you have the pattern available? For the one size? I’ve searched and saved MANY diaper tutorials and yours is my favorite. Just wondering what the approximate average cost to make a CD is? My question is I am really interested in making them one size. From newborn to potty trained. Would that just entail adding the extra snaps down the front for the sizing? Also have read that alot of moms complain about leaking around leg area because of the skinny newborn leg syndrome:) Could I add snaps around leg, like say top part of leg opening or back side where it wouldn’t bother baby, to make leg openings tighter and thus preventing leaks? Thanks so very much for any help. I have cloth diapered my last (5th) baby and now I am due soon with my 6th baby and am cloth diapering again. Last time I bought my diaper stash, and sold it after my daughter grew out of them. Now that I am pregnant again, I am making my diaper stash. I made 6 AIO’s from the babyville pattern, I had some things I don’t like about the pattern, but haven’t tried any of them on a “real” newborn yet, so we will see what I think after the baby is born and I get a chance to use them. I made 6 fleece fitteds and 4 covers out of a pattern I came up with myself. 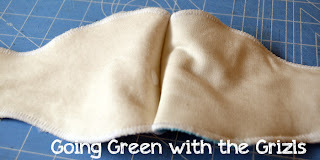 I also am working on making more flatfolds out of fleece/cotton knit and other things…. Now I used your newborn AI2 pattern and I really do like it. I like the snap in soaker and how much smaller/thinner the cover is…Its not so bulky as the others. The only thing I am wondering about is If I will have a large baby and this one won’t fit. I have had two 6 lbers and two 7lbers and my last was a 10lber. The one that was 10lbs didn’t fit newborn diapers. That wasn’t of course the fault of the diaper of course, lol, it was just because my daughter was a monster sized newborn. I am hoping for a smaller baby this time, but we will see what I get! Anyhow, I do like your pattern and am interested in your Os diaper pattern. I’m not sure when you posted this but am wondering if you have a OS pattern made yet? I would love to make some if you have a pattern. I’m excited to say that my hybrid fitted cloth diaper pattern & tutorial is finally available to you guys! It’s been a year and a half since my tutorial I originally posted and by popular demand I’ve drafted my pattern as a 21 page fully-detailed PDF. You can find details at the following link:https://www.etsy.com/listing/208486933/hybrid-fitted-one-size-cloth-diaper? Oh, I also did come up with a bit of a alternative way of making the soaker…. In order to keep from making two soakers and having to snap them together, but still not making just one massively thick soaker, I made it double length following the contour of the pattern and put the snaps just below middle and fold it in half when inserting it in the diaper. That way it’s one piece, but still dries quickly and gives you double the absorbency. We will see what I like best once I actually use them. This is so awesome!! I just bought fabric online to make these and then I realized that is a newborn pattern, and unfortunately my son will not fit into that size anymore. Have you shared your personal OS pattern yet? I’m now on the hunt for a larger pattern but I’m hoping I can get yours! I loooove those diapers you make!! I was wondering if you could email me some more information on the cut out sizes of the material used in this diaper? (blynndeluna@yahoo.com) Thank you so much! Kassie has made a pattern for the newborn and One Size diapers which she sells on etsy under homespun aesthetic. Is it certain kinds of fleece that are waterproof or ? Can you use the poly fleece fabric for the liner assuming I will put a layer of cotton velour on top? The poly fleece acts to repel moisture and you’ll want something that can absorb for the inserts. do I need to use cotton velour? Or would bamboo be just as good? This tutorial is fantastic, so straight forward. Could I adjust the fabrics to have knit/woven (outer) – PUL (middle) – cotton velour(inside). Would that make it more waterproof? Ideally I would like to eliminate the need for a cover. Has anyone played with that? If you do need to use a cover what do you make it from, and is there a pattern you like? I would like to make a stash for my baby due in May. as per the last comments I’ve mixed some up with PUL on outside, PUL on inside (before I read the above comment) I was thinking of 10 petites and say 25 normal ones, what do you think? What did you use for a liner, I’m not keen on disposable for this either I’ve heard people just cut up micro fleece ? Is the fleece hidden layer used as a barrier so that the outside layer does not get soaked? Hello! I wanted to reply to the comment about Babyville and Rocket Bottoms posted by Melissa and make a clarification 🙂 I am the owner of Rocket Bottoms. I have created patterns for Babyville but the patterns in their Cloth Diapering Made Easy Book are not designed by me. The patterns I have created for Babyville are in mini books and are The Ultimate Pocket Diaper Pattern, Totally Trainers and Simply Soakers. Your photos of a diaper made from my newborn pattern look great, thank you for sharing on your blog and spreading the word about making your own cloth diapers. About how much does it cost to make your own cd stash from scratch?? Is it more cost efficient than buying it, even through cheap methods like Co ops?? Looking for the most cost efficient route! Thank you! I also really enjoyed being able to create my own diapers because it’s so easy to customize for your own children’s needs. What do you do for laundering these? Do you rinse right after use and then wash? Do they take special laundry soap. How about staining with BM’s? I’ m a grandma who used the “old” cloth diapers. Back then, we rinsed any BM off of the diaper and then threw them in a diaper pail that had a little bleachy water in it. When the diaper pail was full we threw them in the washer, spun out the yucky water, and then laundered. I did use to sun dry to help with stains. Do these work about the same? I bought your pattern online the other day and I want to get started but I have no idea how much fabric it takes to make one diaper (1/2 yard or yard per diaper for each fabric?). I would appreciate any info that you can give me. Thank you for your time. I am working on the NB diaper right now and this pattern is incredibly easy! Thank you! I am super excited to try these! Im not sure if you are still monitoring this blog but – if you are – is there any special care for these? Just cool water wash then dry? This is my first kid and I really want to try cloth (I am getting the same skeptical looks) but I dont know much yet about the care of these items! Also – how many would you recommend someone have on hand? 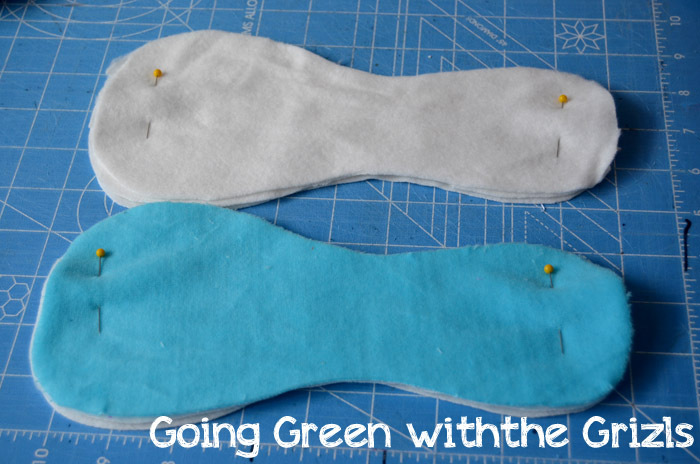 FTM and hoping to be making my own diapers here soon…love this tutorial, but one question….without the PUL do these not leak?